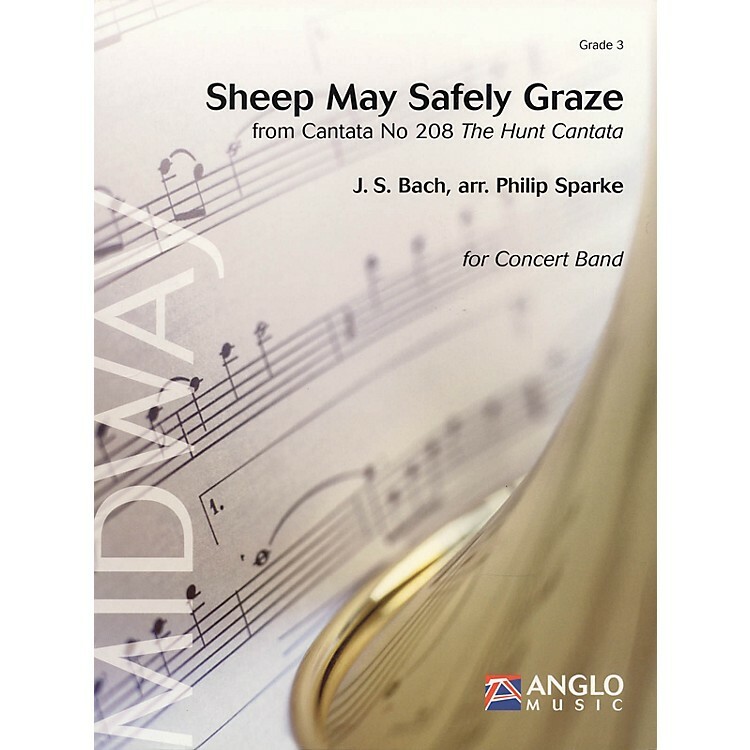 There are just over twenty secular cantatas in Bach's prolific output, which include The Coffee Cantata (No 211), The Wedding Cantata (No 202), Phoebus and Pan (No 201) and The Hunt Cantata (No 208) which contains the famous aria Sheep May Safely Graze. Written for four vocal soloists it was originally scored for a relatively large orchestra (including flutes (recorders), oboes and horns) and mixed choir. Although secular in character, the words describe how well a faithful shepherd keeps watch over his flock and hence has obvious allusions to the teachings of the Christian church. Bring a bit of the Baroque era to your concert with this first class arrangement by Philip Sparke.